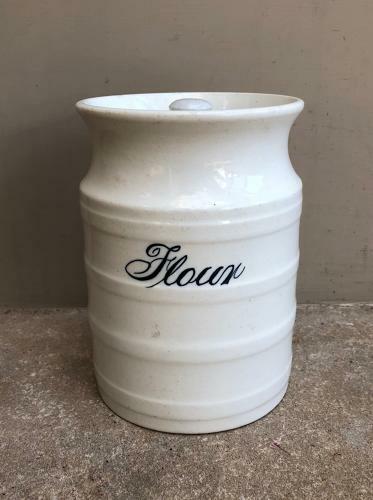 Great looking Late Victorian White Banded Kitchen Storage Jar for FLOUR. Black writing on white. All good condition...has a lid but although the right type of lid it isnt the original.